Enter to win Business Cards by Uprinting.com. Uprinting has been printing items for over 25 years and You can get a free proof of your card so you know that it will be perfect. 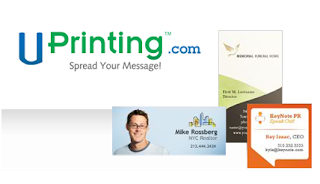 Uprinting has made it easy to order your business cards online. The company has a large variety of items that you can print online such as flyers,canvas prints and many other great items. You can choose from 4 different sizes 2 x 3.5", 2x3", 2x2" (square card) or 1.5"x 3.5"(skinny Card). Paper: You have a choice of 14pt gloss cardstock, 14pt matte, or 13pt recycled uncoated cardstock. Specifications: Full color bothh sides, Offset Press, 3 business day printing. 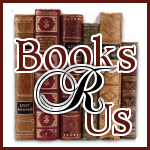 FREE UPS ground shipping to US Residents only. +1 entry for a comment. Giveaway ends on Sat Feb, 20th at 12mn eastern. Disclaimer: I will be receiving business cards from Uprinting.com. This would be great! I've heard good things about this company and I would love to try them out for myself! Thanks for the chance! Love it! Please count me in. I would love to use the cards to promote my crafts booth! I am looking at opening a new clothing store and these cards would be great.